You make a great triple!! I'm not a Harley guy. You may get more responses in the general forum, Tiger Chat. I have found that the workshop forums are not visited as often or by as many. I thought I previously replied to this post but I don’t see it so I’ll try again. 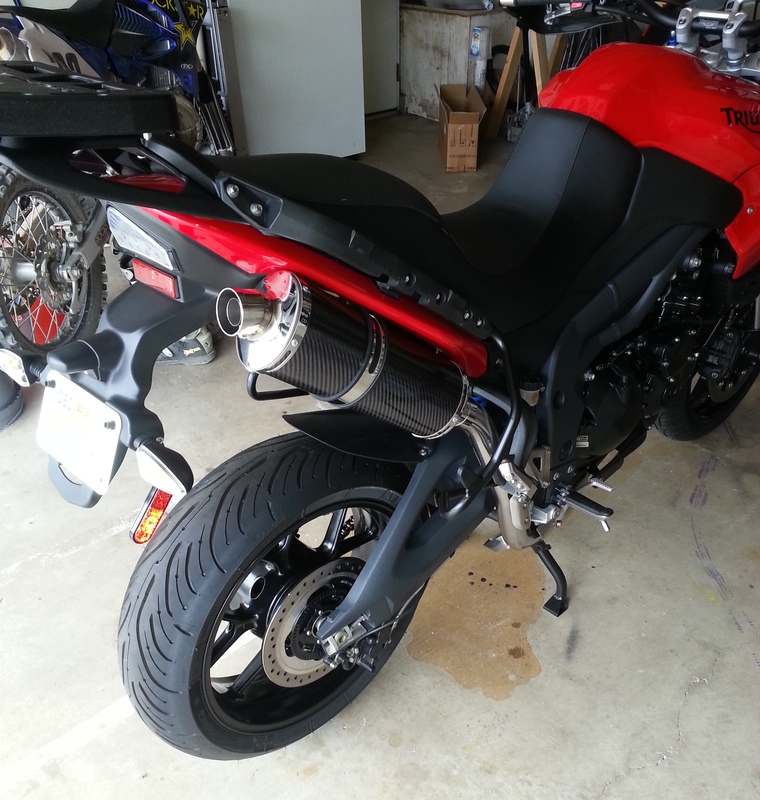 I also have a 2012 SE ABS with stock panniers. Look at Delkevic silencers. They have several options that fit and most are just over $200. Good quality and easy to install. I have Quill. Looks great sounds great. 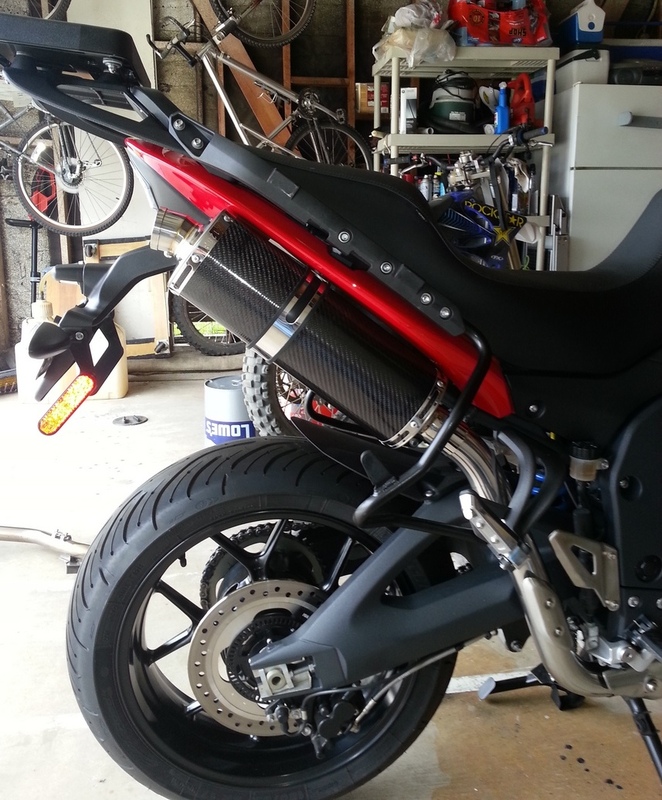 I have a Delkevic muffler on my 12 Tiger 1050 SE ABS and love it. Looks great, sounds great and fits great. Smaller than the OEM muffler, so no issues with Pannier. Also has removable baffle, which I removed. These pics were taken after installation. I`ve had it three years with no issues. $250 bucks well spent. Last edited by yz.racer; 06-13-2018 at 09:49 AM. Great idea - so all you had to do was cut up a piece of metal to extend from the rear footrest down to the clamp? 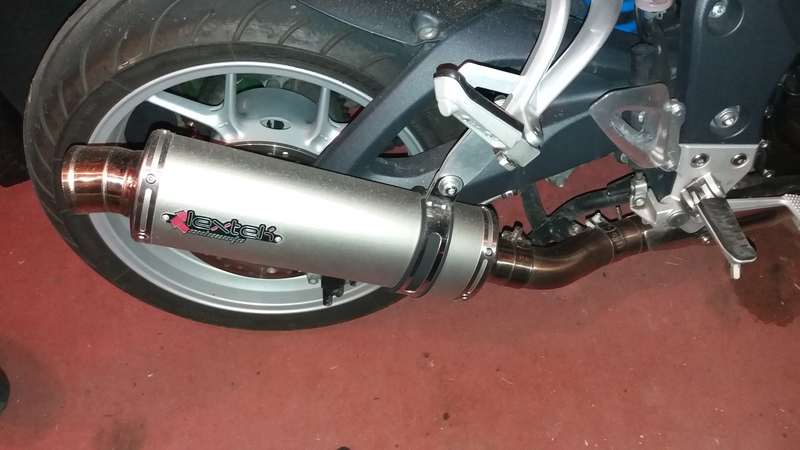 The pipe fit onto the existing exhaust outlet no issues ?? 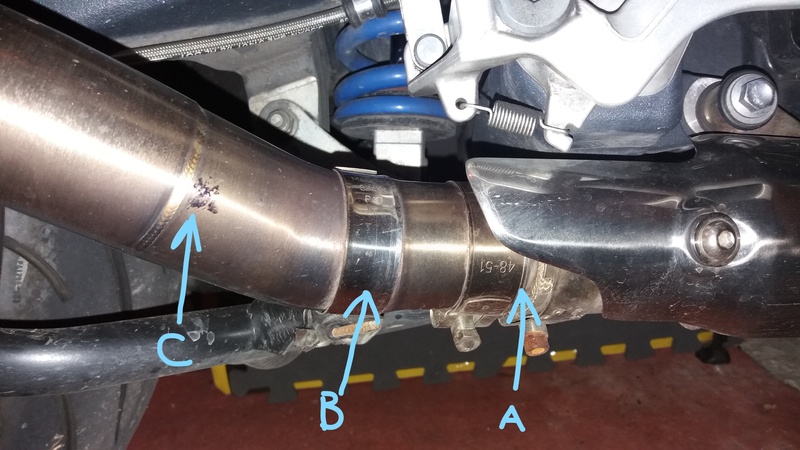 If you buy the link pipe for the speed triple (C) all you need is a short piece of pipe (A - Its inside so you cannot see it) that joins the link pipe to the original exhaust. And also make a hanger piece to go down from the rear foot peg, which has an M8 thread in the rear already, to the clamp.